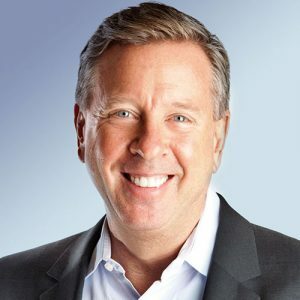 Video delivery and monetisation company Brightcove has appointed Jeff Ray, the former chief executive of education software company Ellucian, as its new CEO. Ray succeeds acting CEO Andy Feinberg, who has led the company since the departure of former chief executive officer David Mendels last summer. Feinberg will now revert back to his previous role as president and chief operating officer at Brightcove. Ray was most recently at Ellucian and before that worked at Ventyx, an ABB-owned software provider to global energy, utility, communications, and other asset-intensive businesses. There he ran operations across 80 countries. “The board was impressed with Jeff’s decades-long track record of accomplishments as a CEO and senior executive. That, combined with his extensive technology leadership experience made him the ideal candidate to serve as Brightcove’s CEO,” said Brightcove chairman of the board, Gary Haroian. Ray said: “I am incredibly optimistic about the opportunity in front of Brightcove. Internet video traffic will grow fourfold from 2016 to 2021, reaching 82% of all global consumer internet traffic. This explosion in video consumption is creating tremendous opportunities – and challenges – for companies around the world.